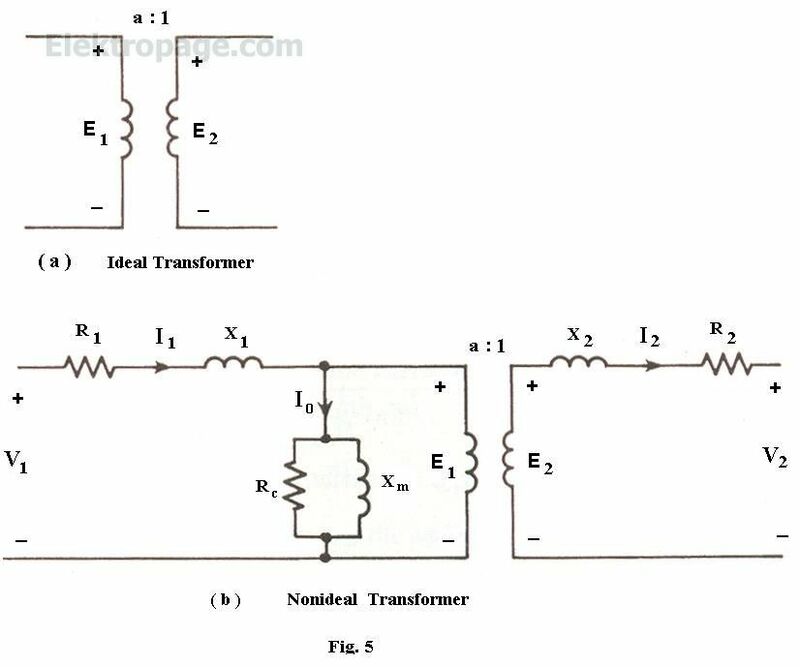 An equivalent circuit of an ideal transformer is shown in Fig. 5(a). When the (nonideal) effeets of winding resistanees, leakage reaetanees, magnetizing reaetance, and eore losses are included, the eireuit of Fig. 5(b) results, in whieh the primary and the seeondary are eoupled by an ideal transformer. 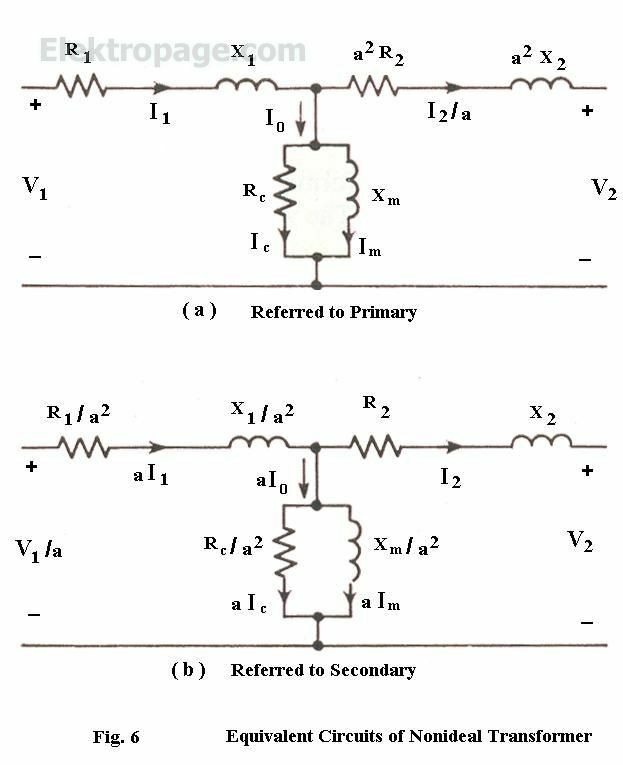 By using (14), (15), and (16), the ideal transformer may be removed from Fig. 5(b) and the entire equivalent eireuit may be referred either to the primary, as in Fig. 6(a), or to the seeondary, as in Fig. 6(b).